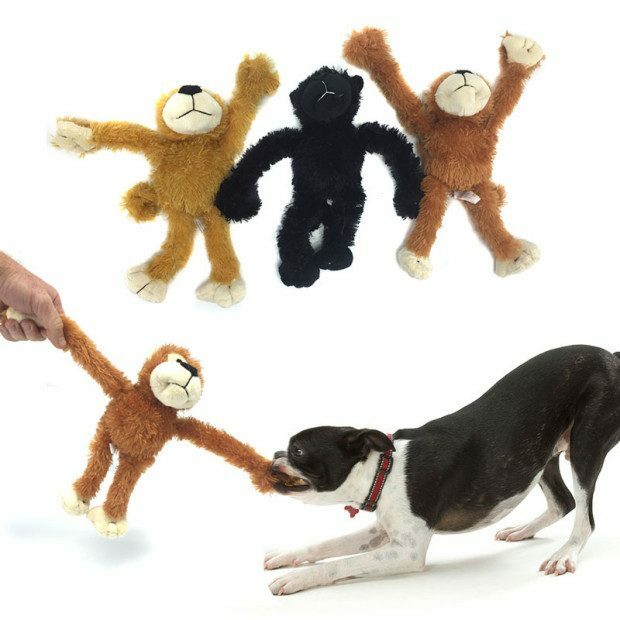 Monkey Squeaker Dog Toys - Set Of 3 - Only $9.99 Plus FREE Shipping! You are here: Home / Great Deals / Monkey Squeaker Dog Toys – Set Of 3 – Only $9.99 Plus FREE Shipping! Monkey Squeaker Dog Toys – Set Of 3 – Only $9.99 Plus FREE Shipping! I don’t know what it is with dogs and squeaker toys but my girls love them! Get the Monkey Squeaker Dog Toys – Set Of 3 – for Only $9.99 Plus FREE Shipping! These toys features extra long arms and legs that and are great for tossing and swinging around. This 3 pack is great if you have multiple dogs or just want a few spare toys for your pup to play with!